Andy Katz (Photographer http://www.andykatzphotography.com/, Author, Sony Artisan of Imagery) is joined by the 2013 Color in the Landscape Photography Workshop Class over three days (Palm Springs Photography Festival Workshop April 29th to May 2nd) of "hands-on" in the field "exposure" (pun intended). Meet Andy Katz, Tom Kluzak, Glen Nakasaka,John Henebry, Anne Grove, Mark "Max" Bowen and Kent Sweitzer. Here's a close up look of the people and some of the images captured over the three days including two trips on the Palm Springs Aerial Tramway, early mornings in Joshua Tree National Monument Park & Painted /Ladder Canyons, plus a mid day excursion into Indian Canyons (owned & operated by the Aqua Caliente Band of Cahuilla Indians). The record high temperatures for late April and early May (plus 100 F) encouraged early morning treks followed by afternoon "shade" photography. Select photographs taken by Glen Nakasako, SmogDesign, Los Angeles, California. 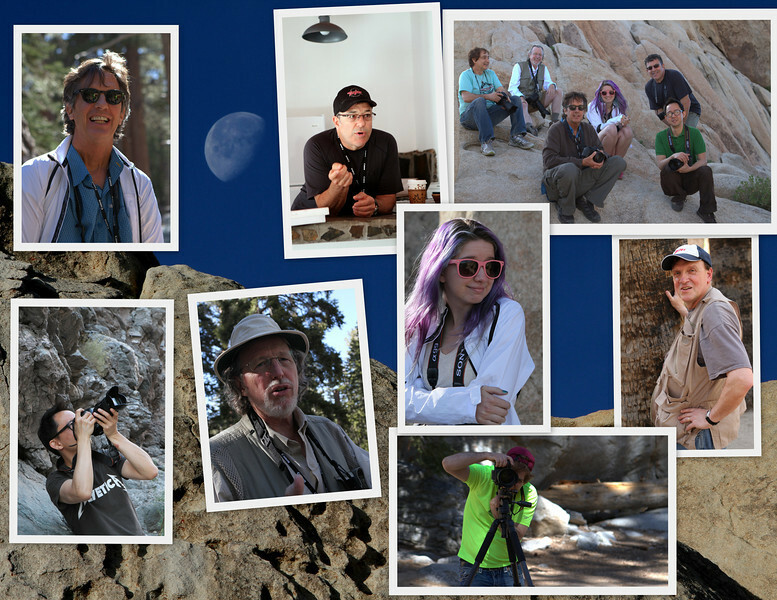 Meet the 2013 Color in the Landscape: Andy Katz photography workshop group.